It’s now easier than ever to make and order our signature photo books. If you’ve been looking for an excuse to print out those family pictures sitting on your phone, we’d like to offer you something special with Shutterfly Free Photo Books. Life often takes us in many different directions. We travel to new and incredible destinations, we discover new hobbies and develop new skills, and we create and grow our families. Along the way, it’s always important to capture the memories from these life moments and preserve them. Taking photos helps keep us in the moment and stay thoughtful about the precious things that happen in life. That’s what makes photo books so special: they give us an easy way to create and store memories, so we can stay in the moment. Whether it’s your anniversary vacation, teaching your first born how to ride a bike, or helping your child learn how to overcome a disability, photo books keep us in touch with our reasons for doing what we do. We love to share life’s joy, so that why we’re now offering free photo books, enabled by the quick and easy to use Shutterfly app. We know our customers fill their lives with amazing things that create lasting memories. 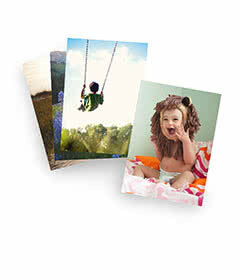 That’s why we’re now offering a free 6×6 softcover photo book every month, exclusively on the Shutterfly app. You only pay $7.99 shipping. No commitments, no subscriptions. Just the option to get a free 6×6 photo book each month. If you aren’t ready to buy, no problem, just wait until your next free book. No promo codes needed. Just start a a free 6×6 soft cover book and we will take care of the cost. Upgrade anytime. If you choose, you can upgrade your book to a standard hard cover or matte hard cover. Your free photo book can also be converted into a larger book if you choose, but the promo will not apply. Start now, finish whenever. We understand you’re living a busy life, so if you want to build the book in bits and pieces, that’s just fine. We ship it on your terms. You can pick shipping options from economy, priority, expedited, and rush. We’ll help you stay on track. Each month we will send you a push notification to let you know your next free book is available, and when your monthly book deal is about to expire. We’re on your schedule. Months are based on the time of your first book’s purchase, and not calendar months. Our app is fast to download, convenient to use, and comes with some great perks. Once downloaded, you’ll find special app-only offers, updated on a daily basis, on top of your free monthly photo book. Find it on the app store and download to start. Pick from our exclusive designs to start your book, right from the app. And if you decide for a modern, sleek look after a wedding-heavy month, you can always switch to a cute and kid-friendly photo book the next month. Either download the photos to your Shutterfly account ahead of time, pick from the pictures on your device, or pull from your favorite social site. And never worry about how many photos you want to store on your account: we’ve already given you unlimited free storage, just because we appreciate our customers. Once you’ve selected your photos, you can start working on refining the details. Customize as many elements as you want, until the book is as special as the memories you’ve built it with. We’ve made this extra easy for you, so you can end your creation experience on a great note. And we’ll even save your shipping and billing information if you choose so the next month photo book goes even quicker. Travel Photo Books: You could fill a museum with all the photos you’ve taken of your adventures, but let’s start with a free photo book. Check out these travel book ideas to highlight your last tuscan vacation. Wedding Photo Books: Craft a forever photo book with the gorgeous pictures from your big day. These ideas will help inspire you to highlight the photos the way you’ve always pictured them. Baby Photo Books: Babies grow up so fast, it’s almost impossible to keep track of all their milestones. These photo book ideas help make that job a little easier by providing ideas and inspiration to craft memories that will last longer than your newborn’s clothing sizes. General Photo Books: You don’t need a special occasion to fill a book with lasting memories. You can create photo books just for fun or even gift them to a loved one. Check out these general photo book ideas for a “just because” photo collection. Don’t be afraid to think outside the box when it comes to your own book. You can craft anything from a timeline for grandpa’s 70th birthday to a new art portfolio. We want to help you start bringing old memories back to life, so we’re ready when you’re ready. You can find additional information about this special offer on the app, or you can browse more photo book resources on your desktop. And if you’d like to skip the extra information and start building your free 6X6 softcover photo book now, click the button below.